India proudly beholds the most glorious crown to its north - the Himalayas. It is the greatest mountain range in Asia that captivates many attentions for its spiritual, religious and adventurous reasons. 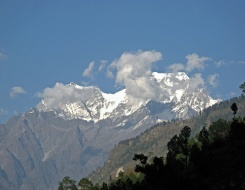 Himalayas have world’s tallest mountains, towering more than five miles above the sea level. 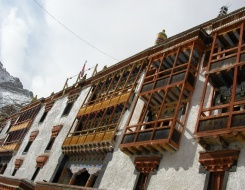 With world’s greatest peaks like Everest and Kanchenjunga, the Himalayas invite the enthusiastic sporty beings to enjoy tremendous trekking options at different locations. The areas like Garhwal, Kumaon, Ladakh, Himachal and Sikkim are some of the most fascinating locations ideal for trekking achievements. Nothing spells adventure better like India! Thrill seekers from across the globe will admit that any adventure quest is complete, only with a visit to the Indian Himalayas, combined with the pastoral wealth and abundance of hill top temples, almost every terrain here will beckon you for a revisit. Being cosseted by the Himalayas in the north, fortifies India’s stance as a giver of preferred trekking experience, only further enriched with the friendliness of the local residents, who have preserved their centuries old way of life in a most dignified manner and over time have learnt to co-exist with the Gods, under whose shadows they will invariably offer warm hospitality to the visitors in some of these coldest and highest inhabited places on earth. The Indian trekking scene is abuzz with trekkers all year round with varied options for all seasons and expeditions for the beginners and the seasoned climbers alike. It does not matter what terrain you choose, be ready for your moment of truth amid the mystique of these ancient trade routes, where every nook and corner has an age old legacy to share whilst displaying the most exquisite and the rarest of flora and fauna, exclusive only to this part of the world. The beautiful facets of an Incredible India resonate in her ethereal topography and megalithic mountains that mock on your paltry existence. The Indian side of Himalayas proudly lives up to its hype and offers a bounty of some of the best trekking destinations in the world. 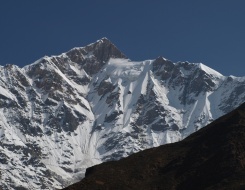 A trek to the coveted Stok-Kangri Expedition often attracts locking visitors with its glamour of being the highest itinerary summit in India at 6153mts [20080 ft.] and a view of the northern most point of Himalayas. 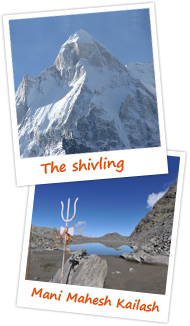 The Shivling summit off Gangotri valley taunts humanity at +6000 meters and even the non- believers are known to rejoice in this vertical heaven where horizon spells out the pristine glaciers and every stone reverberates with the existence of Lord Shiva himself. Chadar Trek is again a one of its kind pre-historic passage in to infinite ice, sprawling across the frozen Zanskar River. Purple mountains that turn to Scarlet without prior notice will flash you by on this trip where more than the climbing skills, nature will test your wits against the chill as this trek can only be done in the winter months of January - February. 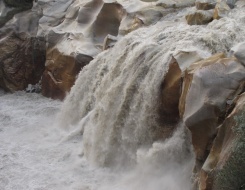 The expeditions may be rated between easy to moderate and difficult levels of trekking and vary as per the geological nature and vertical character of the unique Indian Terrains. 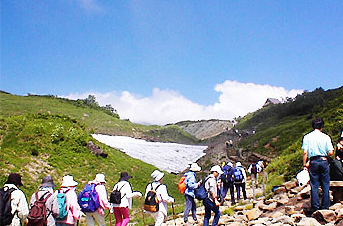 Easy Treks: They turn out to be immensely popular family treks and corporate getaways. The trek to the ‘Valley of Flowers’ is an endless terrain of colors and exotic flowers and the scenic Mani Mahesh Kailash trek are often termed as one of the places to see before you die and are relatively easier climbs. Moderate Treks: They are recommended for adventure lovers, as these trails require a certain level of experience and expertise. The tough routed Sathopanth Tal Trek, where glacial lakes are galore en-route is one such climb. 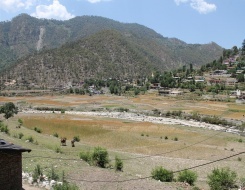 Garhwal like the rest of Northern India offers a wide choice of easy to medium treks for every adventure palette. 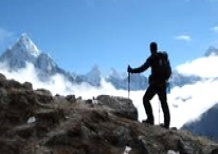 Difficult Treks: Such tracks are best suited for an experienced climber (who has undertaken high altitude trekking), owing to the cumbersome nature of the trek. The Nanda Devi East Base Camp in Kumaon region and Junglam trek in Ladakh are few examples that fit this category due to their treacherous hike. Why choose Peak Adventure Tours as your trekking partner? Adventure Travellers, some say are a different breed, and also true is a recurring need to see the unseen that makes them complete. Peak Adventure Tours Pvt. Ltd. is a company managed by the people belonging to this very kind. With 25 years of rich experience in adventure tourism, we in fact introduced adventure travel in India. Having serviced 45000+ satisfied customers, allows us to offer varied trek choices to suit all thrill capacities and groups, families, corporate and individuals from across the planet. Not to mention our dedicated team, which without fault, ensures that all i’s are dotted and all t’s crossed while you rediscover your organic self, in the lap of Mother Nature.